Posted by Maggy Parries on Aug 10th, 2016 and filed under Allgemein, Automotive, Breaking News, Featured. You can follow any responses to this entry through the RSS 2.0. Both comments and pings are currently closed. BMW Group achieved a new July sales record with a total of 180,080 vehicles delivered to customers around the world, an increase of 4.0% on the same month last year. Coming off the back of a record first half-year, this solid start to the third quarter sees year-to-date sales climb 5.5% with 1,343,217 vehicles delivered worldwide. “The BMW Group continues to deliver sustainable, profitable sales growth month after month,” said Dr Ian Robertson, Member of the BMW AG Board of Management with responsibility for Sales and Marketing BMW. “While we see growth across our range, the fact that the planned production for our electrified 7 Series, 3 Series and 2 Series Active Tourer models is already sold out this year demonstrates our strategy of rolling out electrification on all models is the right one. We will, of course, now respond to this high customer demand,” he continued. July saw 153,392 (+4.0%) BMW brand vehicles delivered to customers, more than ever before in the month. This brings year-to-date sales for the brand to 1,139,947, an increase of 5.6% compared with the first seven months of last year. Many BMW models have achieved considerable sales growth in the year-to-date including the BMW 2 Series (113,233 / +43.6%), the BMW X1 (111,639 / +69.6%), the BMW X3 (88,442 / +15.5%) and BMW X4 (34,464 / +6.9%). Well over 30,000 new BMW 7 Series models have been delivered to customers so far this year, with sales up 40% compared with the same period last year. As availability of all variants continues to increase, monthly sales of the brand’s flagship vehicle more than doubled year-on-year with 5,025 delivered to customers in July. 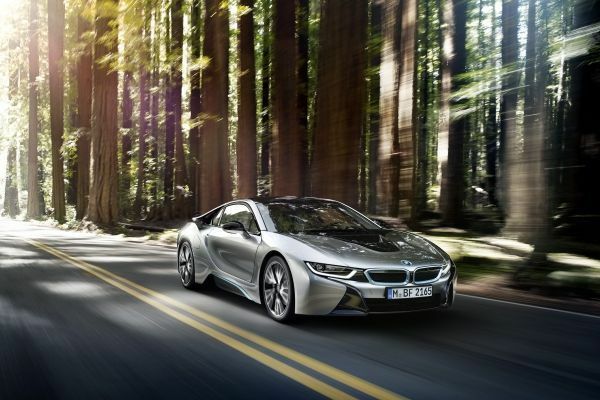 BMW’s electrified models continue to exceed expectations, especially in Europe. While four percent of all BMW sales in Western Europe in July were electrified vehicles, that percentage increases significantly in markets where innovative electric mobility is supported through financial and infrastructure measures. For example, in the Netherlands, 43% of BMW 3 Series registrations are for the plug-in hybrid BMW 330e model and 26% of 2 Series Active Tourer registrations are for the BMW 225xe. In Scandinavia, those figures are even higher, with the plug-in hybrid versions accounting for 45% of all BMW 3 Series sales and 55% of all BMW 2 Series Active Tourer sales. July also saw the first deliveries of the new BMW i3 94A, which offers 50% increased battery capacity and therefore significantly increased range. Orders for the new BMW i3 exceed 7,000 while sales of the BMW i3 in July are up 33.7%, with a total of 2,358 delivered globally in the month. Following on from its best-ever first half year, MINI achieved record sales in July with 26,439 (+4.0%) vehicles delivered to customers around the world. A total of 201,337 MINIs were sold in the first seven months of the year, an increase of 5.2% and the first time the brand has sold over 200,000 vehicles by this point in the year. The brand’s biggest growth drivers in the year-to-date are the MINI Convertible (17,225 / +65.9%) and the MINI Clubman, which has been delivered to more than 32,000 customers around the world. In Europe, combined monthly sales of BMW and MINI totalled 79,815 in July, up 5.6% compared with the same month last year. Year-to-date sales in Europe are up 10.5% with a total of 622,664 vehicles delivered. Almost all markets in the region have contributed to this strong growth with the three biggest markets, Germany (182,390 / +7.8%), the UK (136,914 / +9.6%) and France (49,755/ +13.0%) playing a significant role. Sales of BMW and MINI vehicles in Asia also saw strong growth last month with a total of 56,819 vehicles delivered to customers in July (+7.9%). In the first seven months of the year, a total of 417,730 BMW and MINI vehicles were sold in Asia, an increase of 7.4% compared with the same period last year. The region’s biggest market, Mainland China, achieved an 8.5% increase compared with the first seven months of last year, with a total of 287,753 vehicles sold. Year-to-date sales in Japan (41,750 / +8.2%) and South Korea (34,569 / +9.9%) also show strong growth. Sales of BMW and MINI in the Americas decreased 3.9% in July compared with the same month last year, with a total of 38,097 vehicles delivered to customers in the region. Year-to-date sales of BMW and MINI vehicles in the region total 260,621, which is down 7.4% compared with the same period last year. While sales in Canada (25,524 / +7.3%) and Mexico (18,308 / +9.1%) are up, the increasingly competitive market in the USA has seen year-to-date deliveries decrease 9.5% with a total of 209,131 BMW and MINIs delivered to customers. This year continues to be the best ever for BMW Motorrad, with year-to-date sales up 2.1% compared with the same period last year: 94,546 motorcycles and maxi-scooters were delivered to customers in the first seven months of the year. Monthly sales for July achieved almost the same extremely high level as last year with 13,792 units sold, a slight decrease of 2.7%.